Home › Extra › Milestone: 100,000 Visits! Thanks to all of you, my blog has hit a milestone – 100,000 views from people living in over 130 countries! To celebrate, I decided to try out a new format. Take a look and let me know what you think. 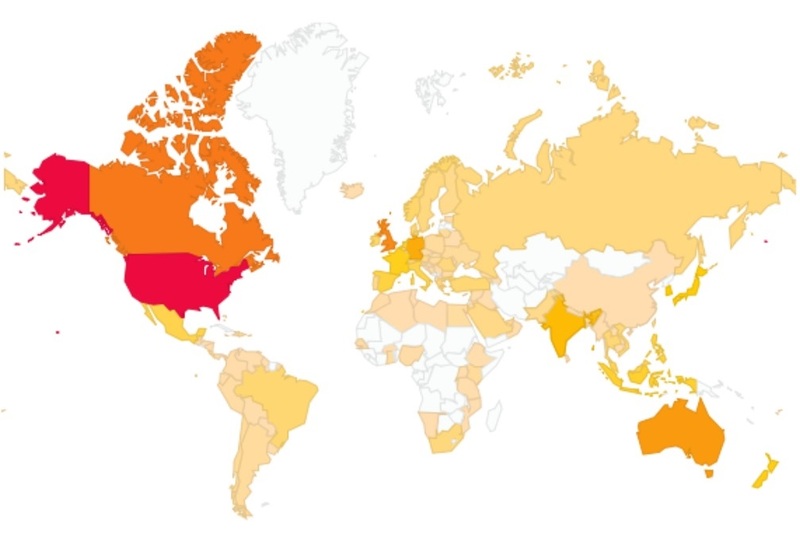 Countries where people have read the blog. Nice! I just had a daring moment and bought one for my prophecy news website that I really like. Get this! It cost $100 and then a few days after I bought it, it went down to $80 (opti theme)! Go figure! I should have waited a few more days! LOL Very nice theme, btw! Wow, Opti was the other theme I was considering! I couldn’t decide, so I went with a coin toss. Well wishes to your prophecy news website. In a few of your blogs. I leave Tuesday to go to Estonia to install a new DKG chapter. Thank you, Dr. Helms. I am looking forward to DKG membership and great things in the future. Have a safe and profitable trip to Estonia. Congratulations on your amazing milestone!